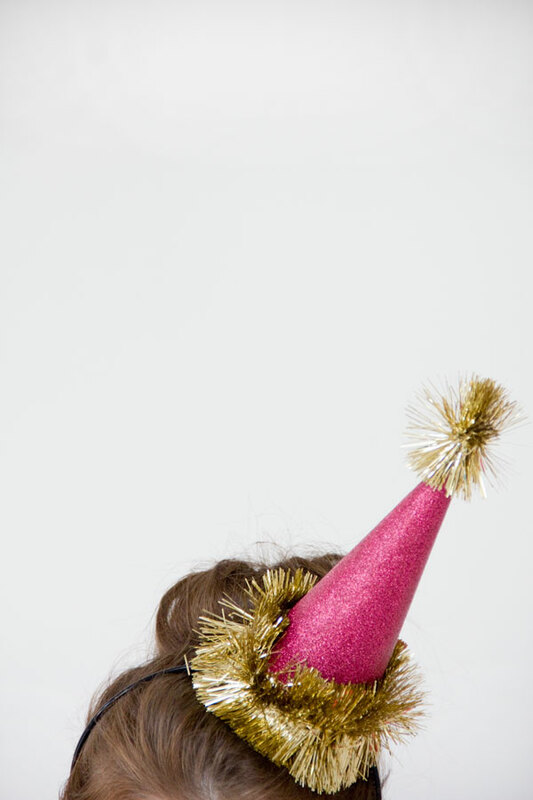 The year is swiftly coming to a close and with it, come big New Year’s parties! If you’re planning on ringing in the new year with your kids at home, here are some of the top kid-friendly New Years party ideas you can try. No party is complete without some tasty treats. Celebrate this year with some of the most delicious and multi-functional menu items. This countdown clock is both yummy and functional! Plus, it provides a bit of thematic décor to your party before the clock starts ticking. This recipe doesn’t require too much time or a specific recipe. 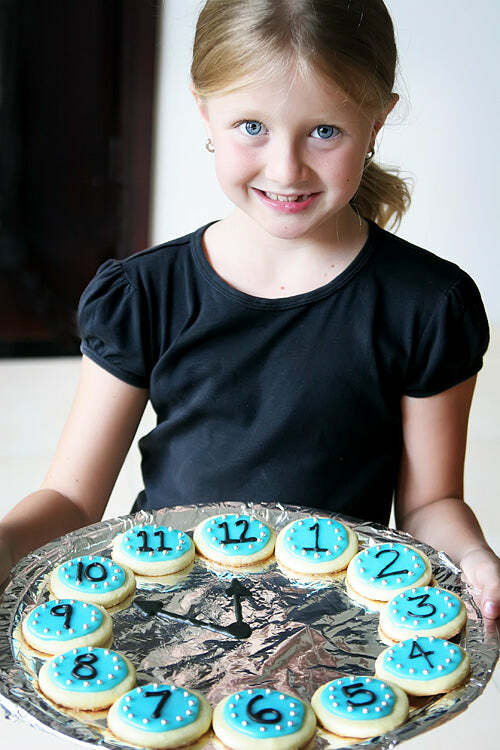 Use your own creativity and imagination to whip up a batch of your favorite cookies and then decorate them to look like a clock with candy. You can even make a cake and give it the same effect! Just try not to get too full before midnight or the clock will never strike 12! Puff pastry is one of the most versatile goodies out there. 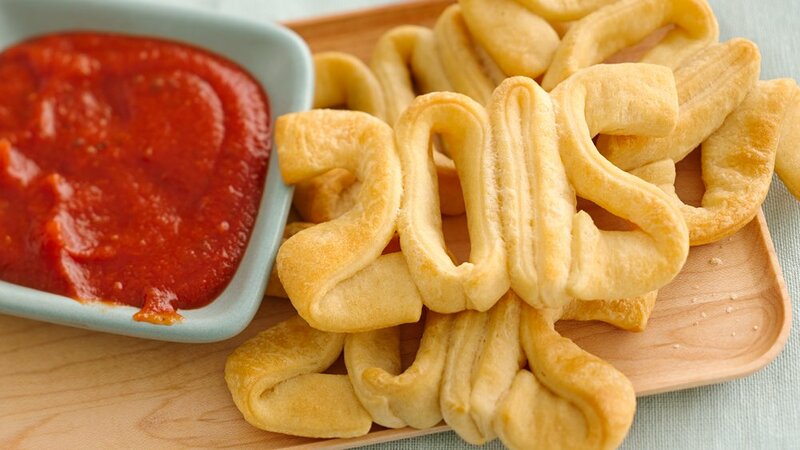 You can make it into pies, cream puffs, and now, New Years inspired bread dippers. This one is from 2015, but you should be able to get the gist and just make a slight tweak to the numbering. Have your kids help sculpt these before they go into the oven and even get creative with what kind of sauces you dip them into. This one is savory, but sprinkling cinnamon sugar on these and dunking them in icing would be equally as scrumptious. Have your kids help construct these edible party horns, play with them, and gobble them up over the course of the evening. 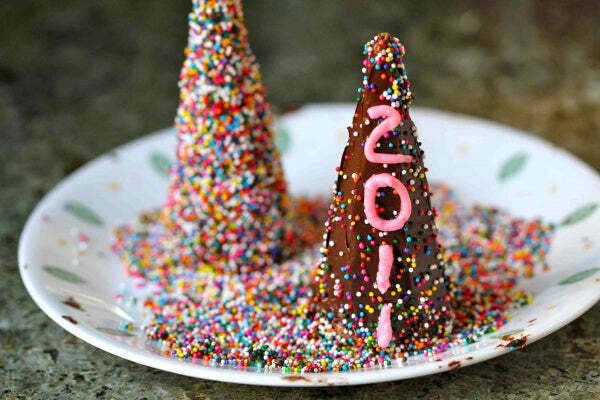 Using ice cream cones, frosting, sprinkles, and piped icing, they’re fun and festive. They’re sure to have the “time” of their lives when you make these! Wash your delicious delectables down with these kid-friendly drink recipes. The New Year is all about celebrating the old and the new. While you’re hydrating and quenching your thirst, remember your goals for the new year. Maybe you want to exercise more, spend more time with the family, or give up technology. 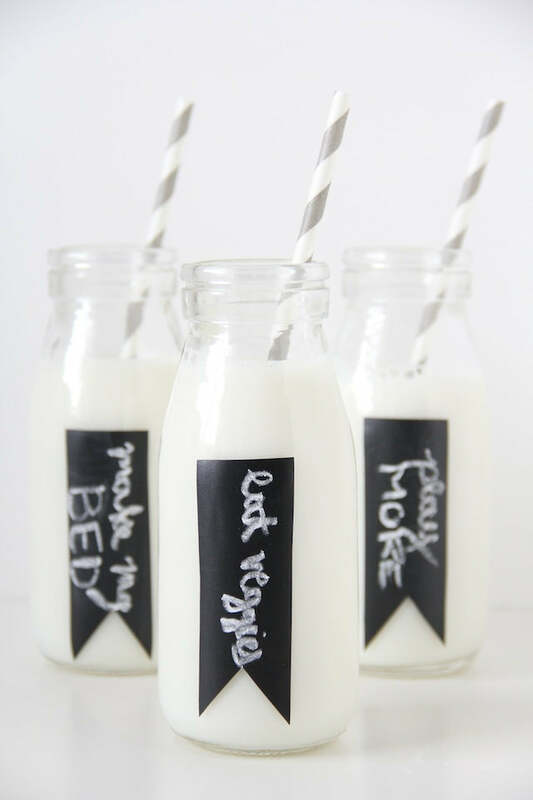 Whatever it may be, write it down on these chalk painted milk bottles and plan your achievements while you sip. Cocktails may not be suitable for a kid-friendly New Years, but these “mocktails” are! With different sodas, food coloring, rock candy sticks, and gummy bear garnishes, you can make a night in with the little ones special and fancy. Some people toast with Champagne at midnight, but you can do the same with fresh baked cookies and milk! 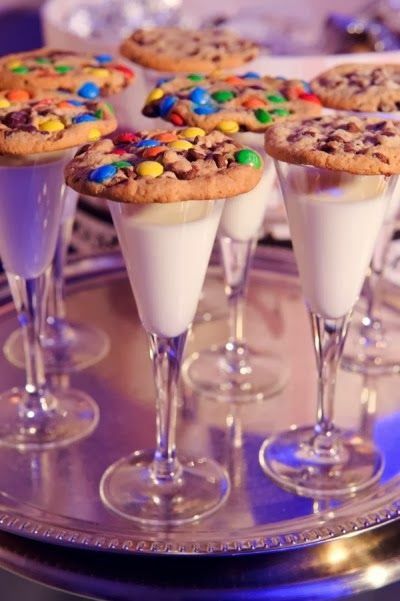 Just pour ice cold milk (chocolate would be delicious too) into Champagne flutes and top it with a warm cookie. When the countdown strikes zero, toast to your family and friends and enjoy a delicious midnight snack. New Years is all about the celebration. Get festive and in the spirit with some of these party activities. Little kids might get a tad bit sleepy as the night ticks on. Who knows, you might too! 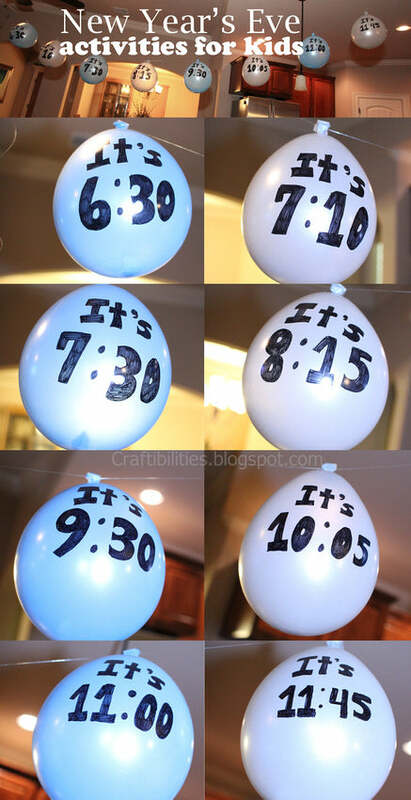 To keep everyone on their toes and looking forward to when the clock strikes midnight, try blowing up these hour-mark balloons. Then, pop them every hour or half hour to keep the party alive until 12. A fun activity you can do on New Years night or beforehand involves excess tinsel, garland, and scrap wrapping paper from Christmas. By gathering all of these items, you can construct these sparkly and fun hats! Everyone can adorn theirs to match their personality, so it’ll be a fun project to do together! Party horns are fun, but what about these sparkling plate shakers? 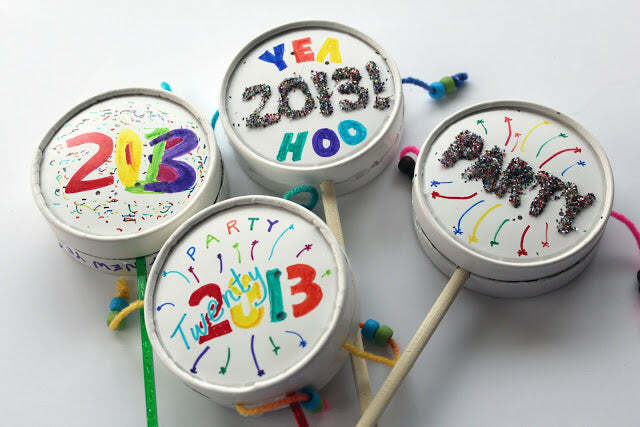 With some glue, popsicle sticks, paint, glitter, dry rice/beans, and lettering, you’ll be well on your way to creating these lively noisemakers. You might even rival the hubbub going on in Times Square! 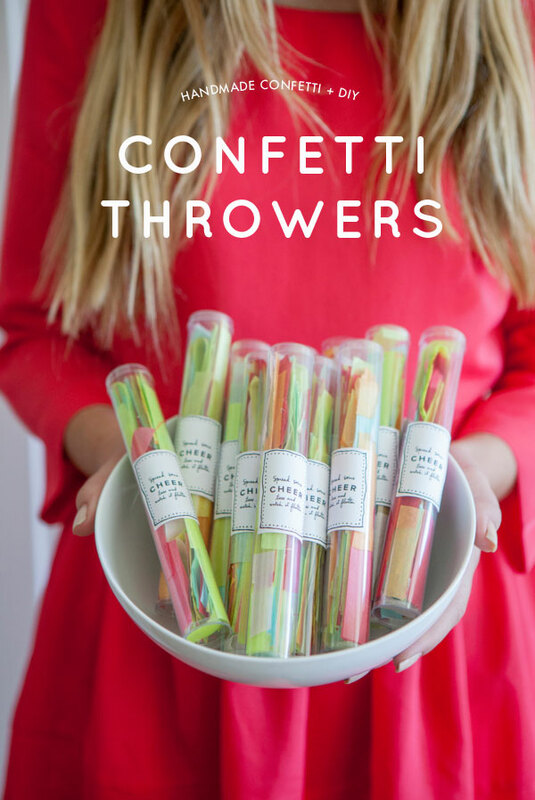 If the previous noisemakers aren’t enough for your fun party, then try making some of these too! We love the drum-shaped design and that you can shake them like a tambourine. 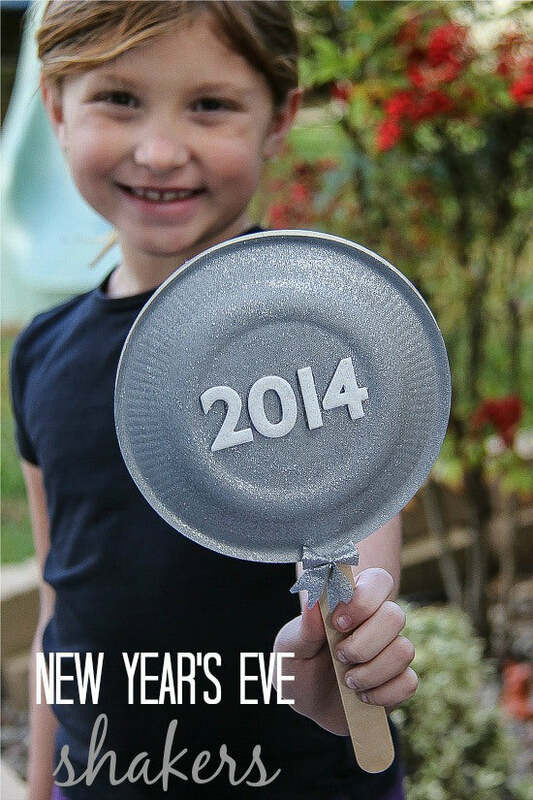 Use markers, paint, glue, or glitter to dress these up in their New Years’ best. Then, have fun shaking them around at midnight or as the clock ticks closer to the ball drop. At midnight, the sky explodes with confetti, streamers, and glitter. Use up your scraps from holiday presents and cut them into ribbons to make these confetti streamers. Stuff them into tubes or used toilet paper or paper towel rolls and then unleash the madness and magic at midnight! 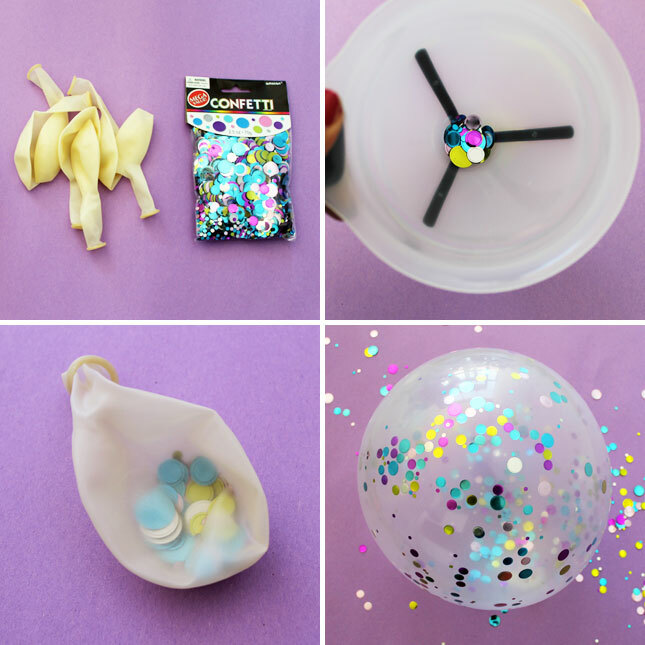 Keep the mess to a minimum without skipping the fun with these confetti balloons! All you need to do is funnel big confetti pieces into clear balloons, blow them up, and enjoy the color. Your kids can shake them up and watch the colors go wild without spilling it all over the living room floor. Midnight is a culmination of the old and new years. 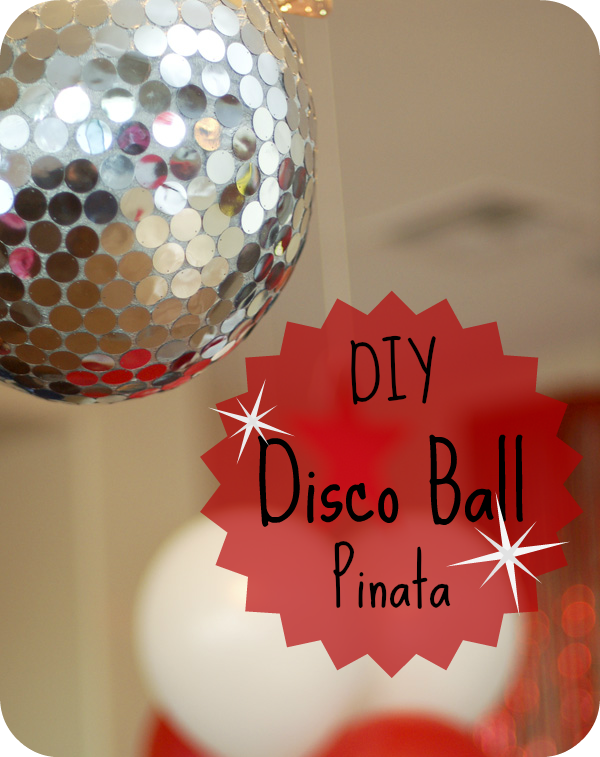 Celebrate in style with this disco ball inspired piñata. Let your kids take turns taking a whack at it and watch with a grin on your face as they scramble to gather up the candy, resolutions, and whatever else you pack into this creative capsule.